Fortiscue Malepa Helepi is a Process Engineer by profession. He graduated in BSc (Eng) (Chemical) at <?<span>University of Cape Town. He is currently working as a chemical engineer. He has been working in the petrochemical industry for 10 years. He is also an author and life motivational speaker. He has a simple message for everyone that is Live Life to the Fullest and Enjoy It. The massage is to teach everyone especially the youth to be responsible and take opportunities that are presented to them. 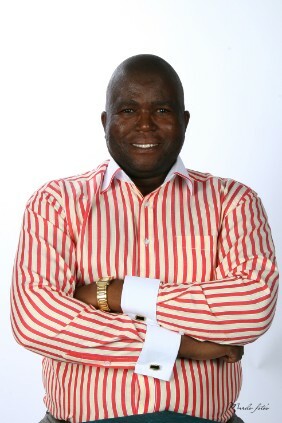 His career as a motivator started with his work at Thuto Etla Pele Trust Project. The aim of the project was to motivate children to be the best they can and also to choose careers in science, engineering and technology fields. He has published two books titled Living Life That Pleases God and God of All My Seasons . He has passion for community work and helping others. He is the founder and executive director of Thuto Etla Pele Trust, organization promoting science and engineering among the youth. He is also an executive member of House of Hope, organization that fights poverty and HIV/AIDS in Sasolburg/Zamdela communities. He is married to Nokuthula and they are blessed with three boys. Motivational Talks for secondary school children is FREE. Do not wait take a step to changing your life.